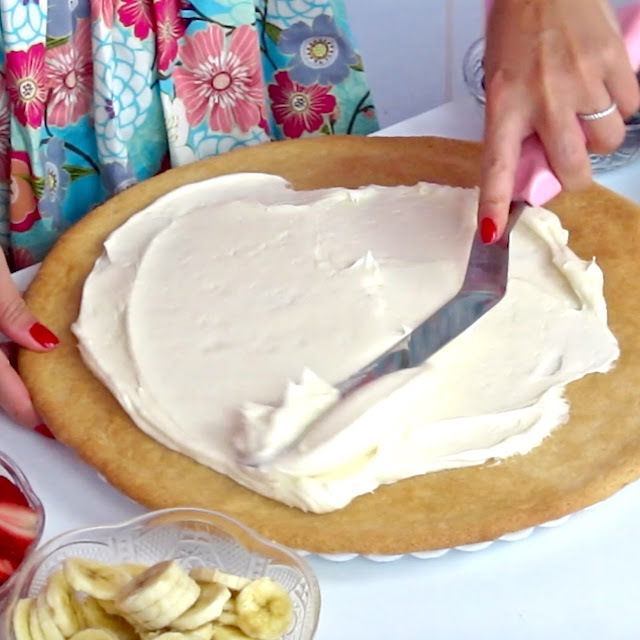 This is the absolute perfect spring or summertime dessert, that will really impress your guests. 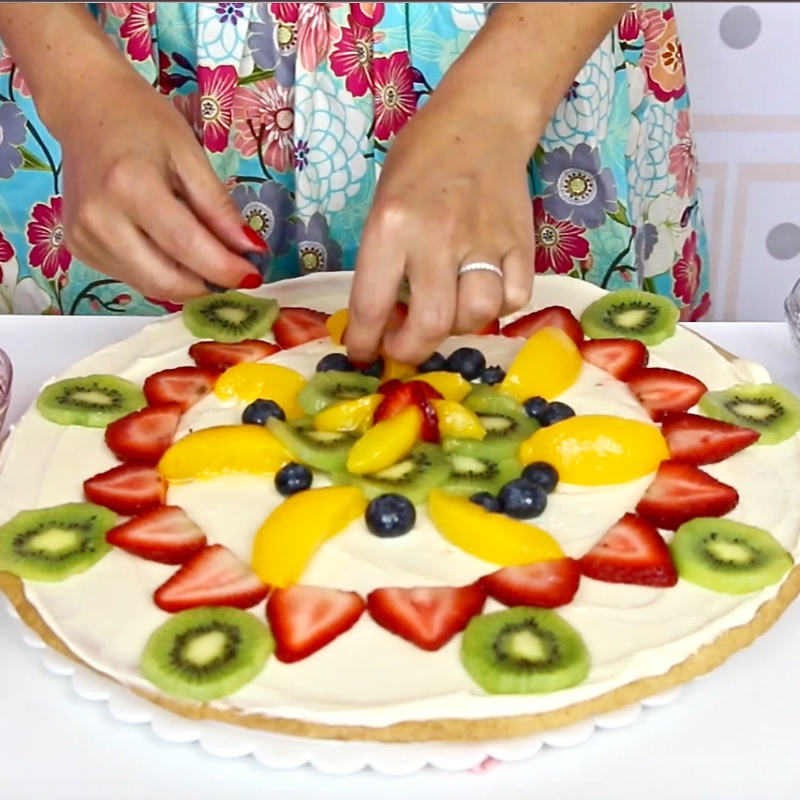 Best part is, it is secretly, really simple to put together using a box of sugar cookie mix, a 4-ingredient frosting, and fresh fruit. Just like a regular pizza, we start with the crust. 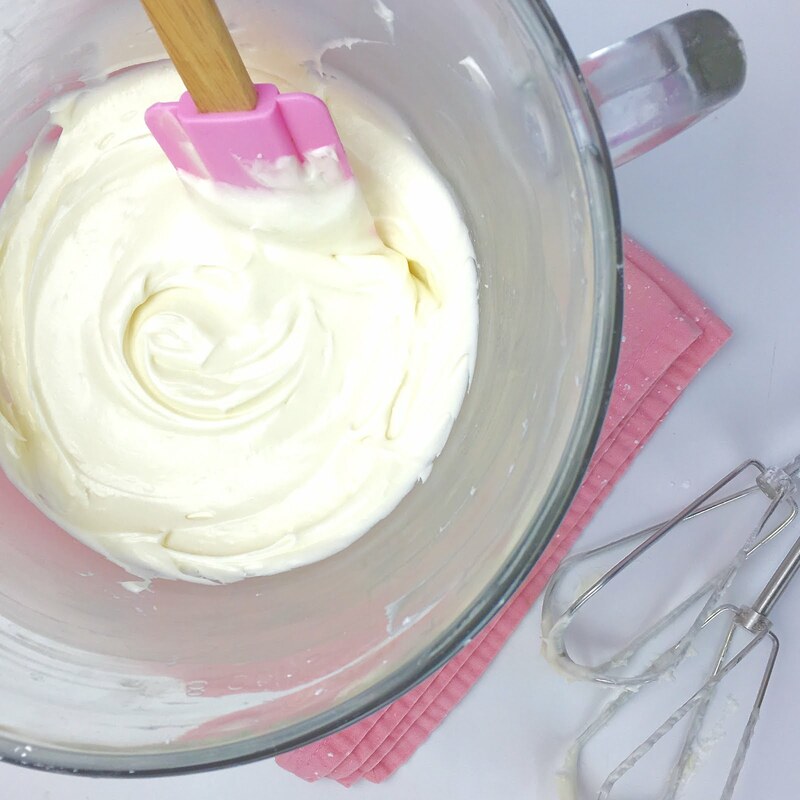 To make this recipe super simple to throw together, I like to use my favorite cookie mix. So just bake it until it's nice and golden brown. Then, whip up a batch of creamy, dreamy smooth cream cheese frosting. 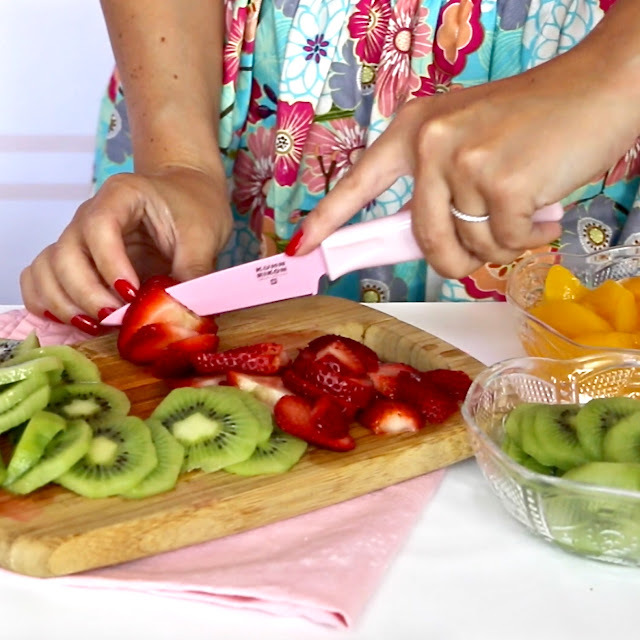 Chop up some fresh fruit for topping your "pizza". Spread on the frosting after it has cooled. 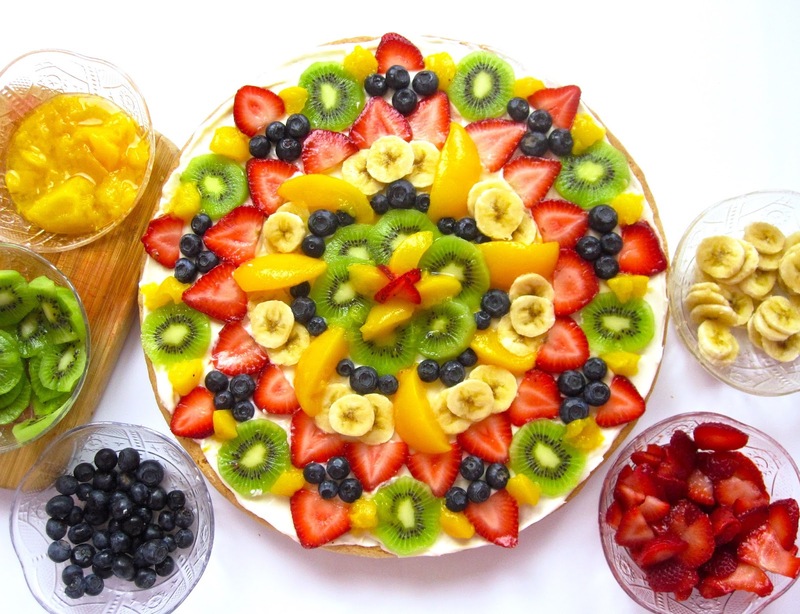 And arrange your fruit on top. Ta Da! So easy to put together and sooo fancy and impressive. 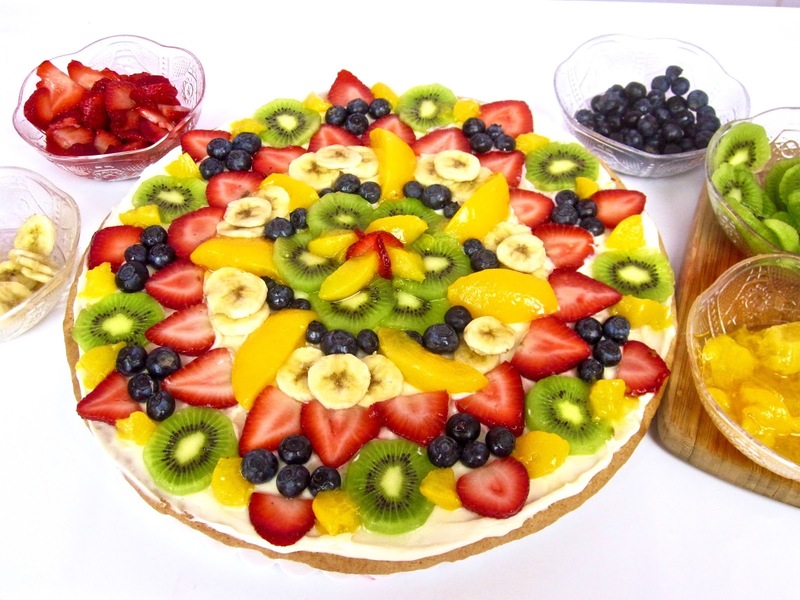 You can choose any combination of fruit you want to top your fruit pizza with. 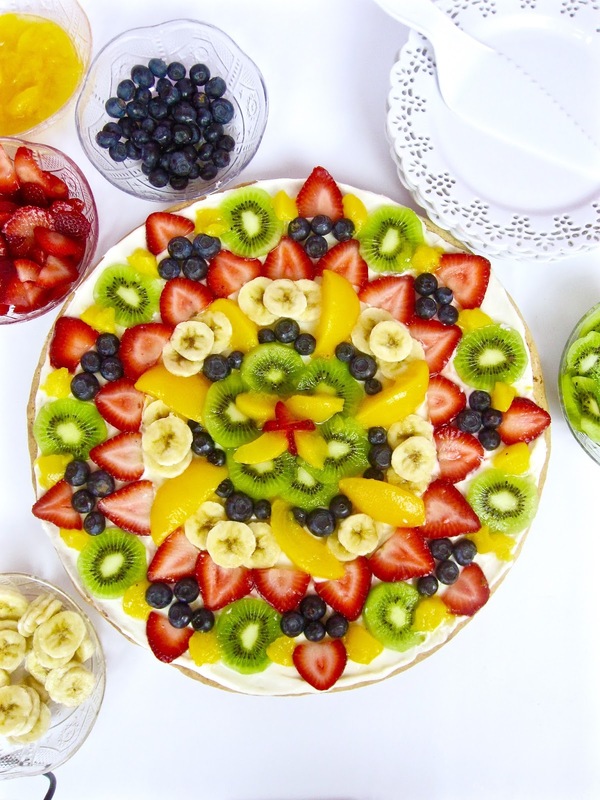 I like to use an assortment of different fruits for a classic mixed fruit topping, but if you want to get creative you can make fruit pizza for all kinds of occasions. Refrigerate until it is nice and chilled, then slice just like a pizza and enjoy! Here I shaped the cookie dough into a heart before I baked it, which would be perfect for valentines day or an anniversary. Then, I made a chocolate cream cheese frosting by adding some cocoa powder, and I topped it with fresh raspberries for a sweet romantic treat. This is also really fun for a 4th of July BBQ. 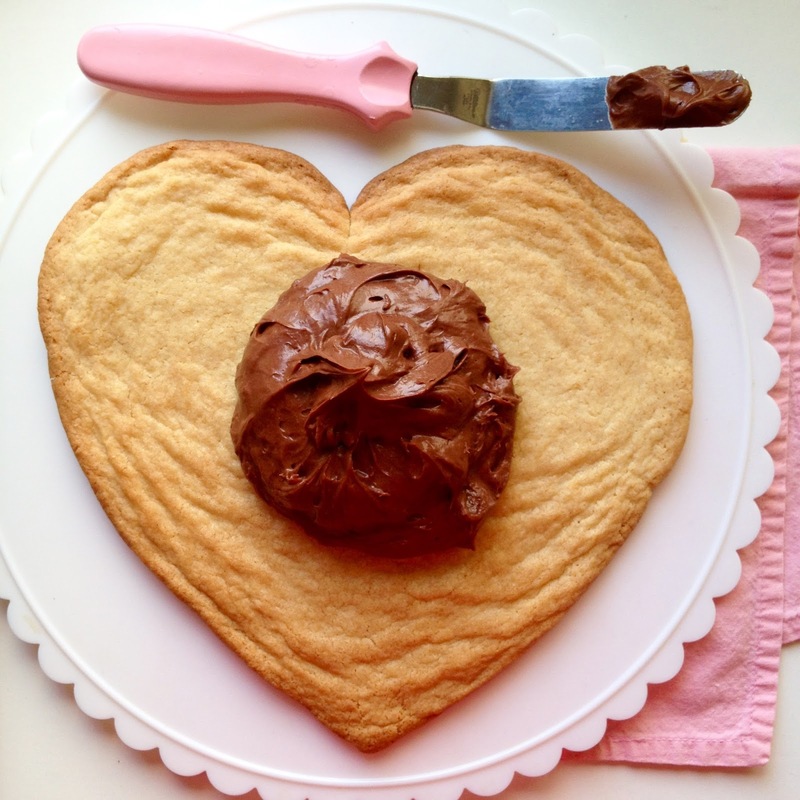 You can make a flag shape by creating a rectangle cookie crust. I added some lemon juice and lemon zest to the frosting and topped it with blueberries and stripes of sliced strawberries for a refreshing summery treat. And, lastly, one of my favorites, is making Mini Fruit Pizzas. 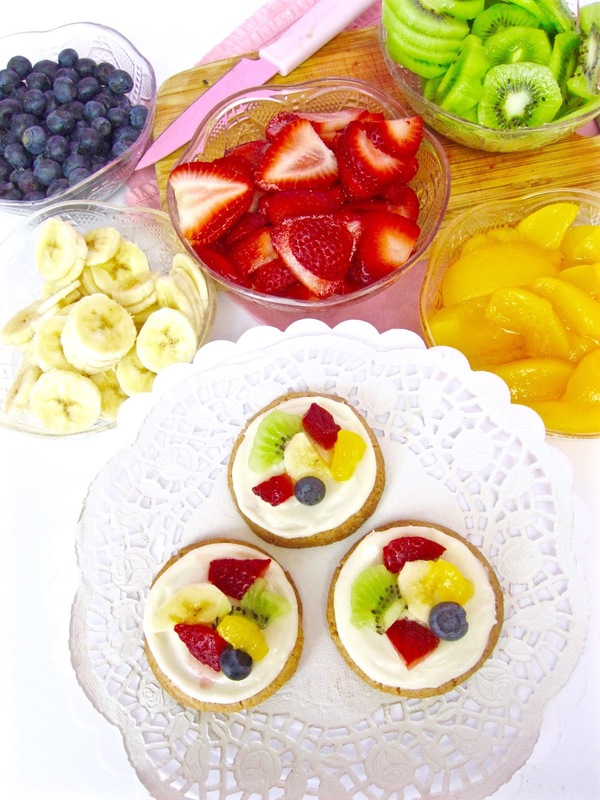 You just bake the dough into regular cookies and top them with a little frosting and a few pieces of fruit. 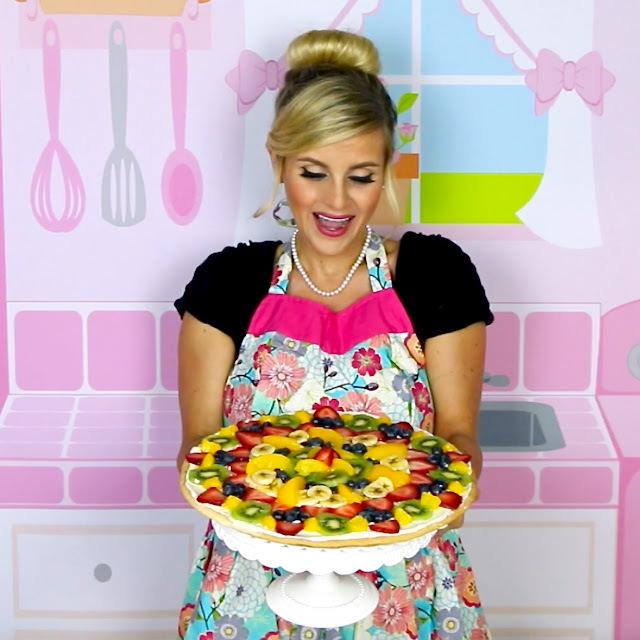 These are so cute and perfect for parties or entertaining. Heat oven to 350°F. Spray a 12-inch pizza pan with cooking spray. 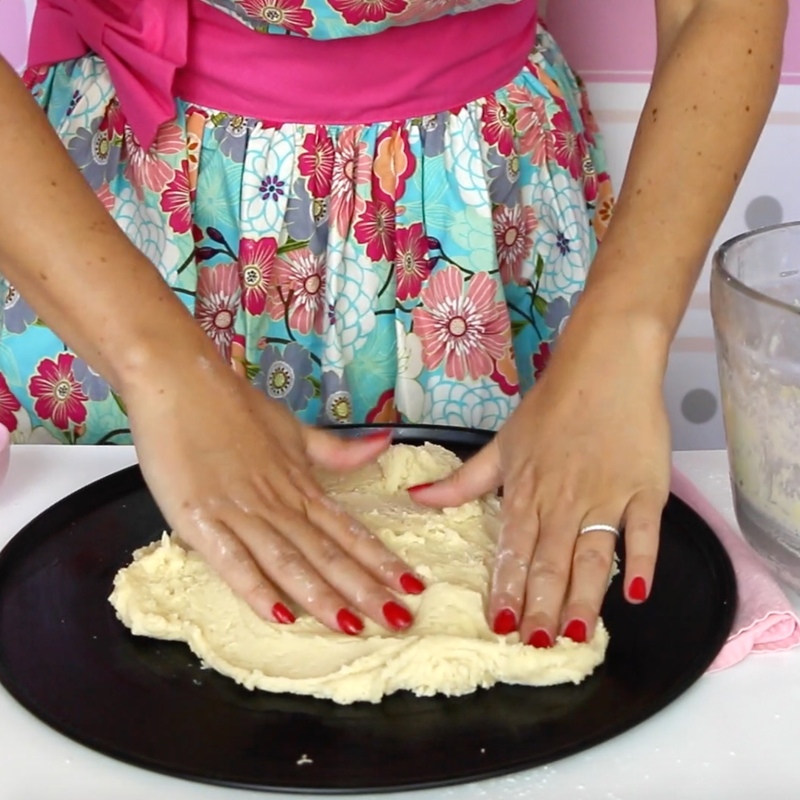 Stir together the egg, butter and cookie mix until a dough forms. 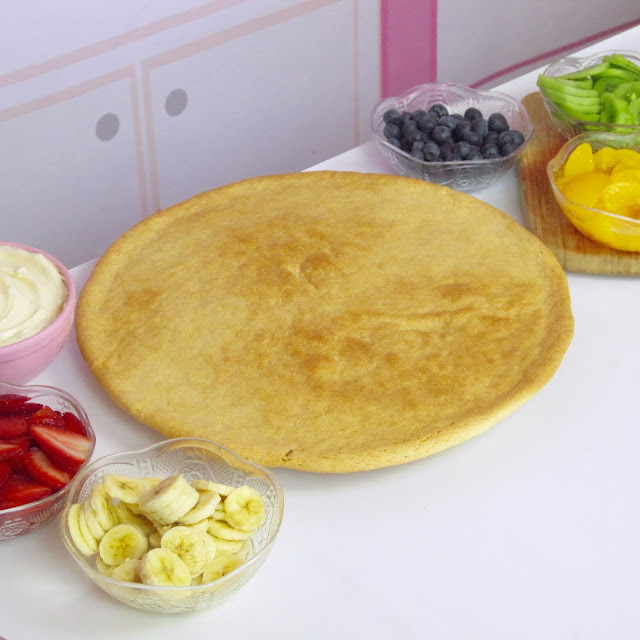 Press dough evenly onto your prepared pan to create a circle shape. Bake for 14-16 minutes or until light golden brown around edges. Cool completely, while you slice your fruit and prepare the frosting. With an electric mixer, beat butter on medium speed until smooth. Beat in cream cheese and vanilla. Gradually beat in powdered sugar until smooth and creamy. Spread frosting over cooled cookie crust and arrange fruit on top. Cover and place in the refrigerator to chill for 1 hour, or overnight. Slice and serve. Cover and refrigerate leftovers for up to 3 days. 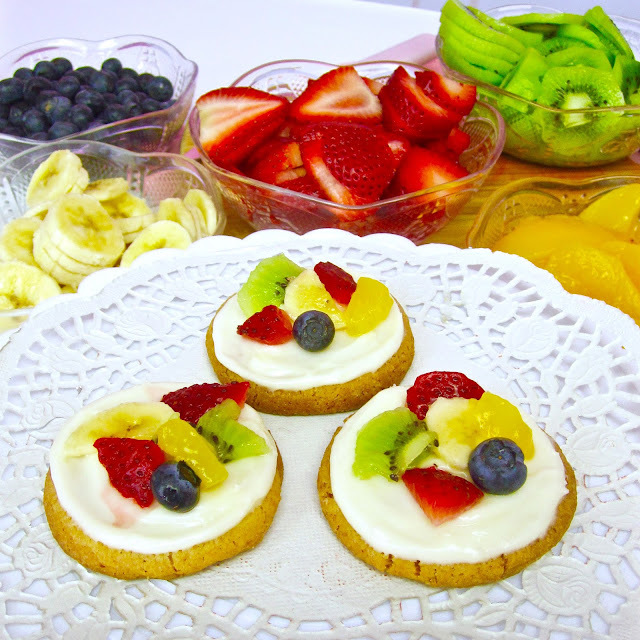 Mini Fruit Pizzas: Scoop 1 rounded tablespoon of dough into 18 cookies and bake for 9-11 minutes. 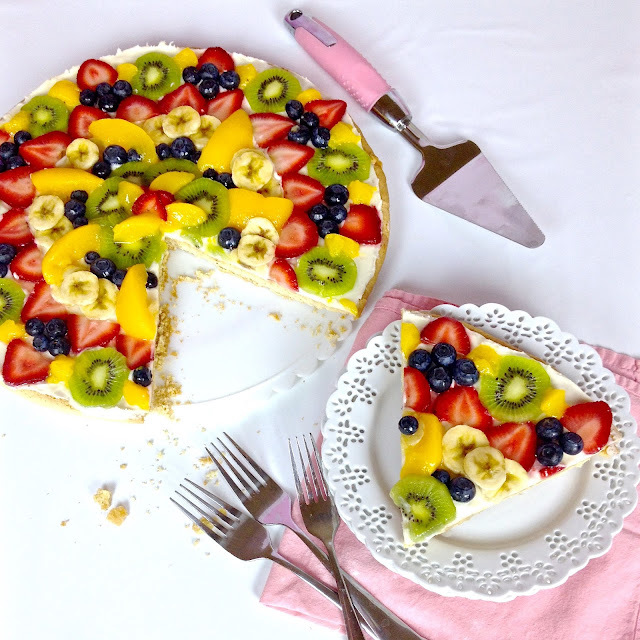 Top with a few pieces of fruit. 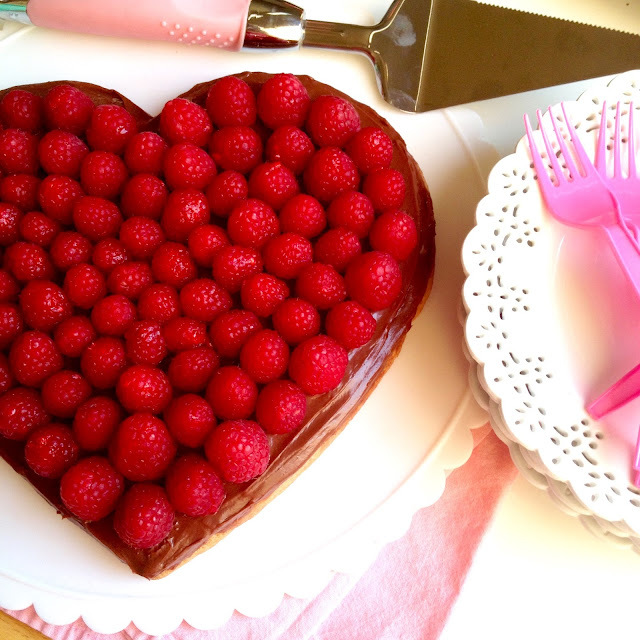 Chocolate Raspberry Heart Fruit Pizza: Shape dough into a heart and refrigerate for 1 hour before baking. Add 1/3-1/2 cup cocoa powder and 1-2 tablespoons of milk, to the frosting if desired, and top with raspberries for a romantic treat. 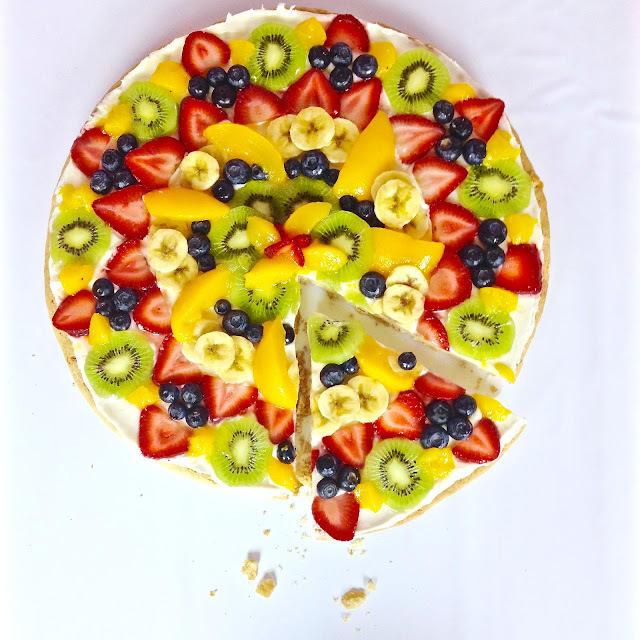 Lemony Red, White & Blue Fruit Pizza: Bake dough in a 13x9-inch pan to create a rectangle cookie crust. 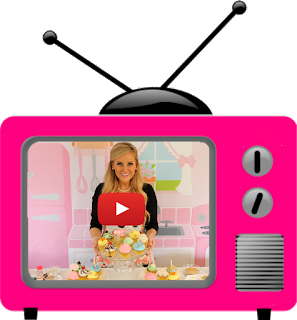 If desired, add 1-2 teaspoons lemon zest and 1-2 tablespoons lemon juice to the frosting. Frost crust horizontally and arrange a small square of blueberries in the top left corner. 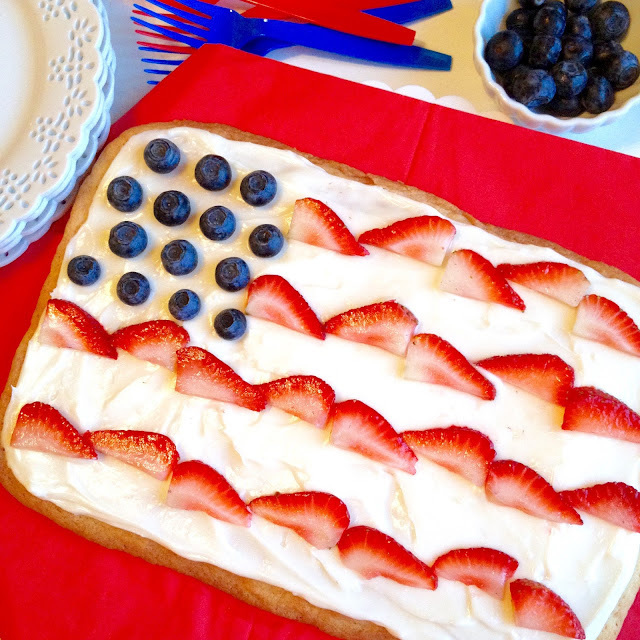 Lay stripes of sliced strawberries across the cookie, to create a flag for a patriotic dessert perfect for 4th of July.